Have you ever wondered what it feels like when someone steals your own Instagram picture? Instagram theft isn’t news and many people, especially those with popular accounts, have seen Instagram picture theft in action. Help – someone stole my Instagram picture! 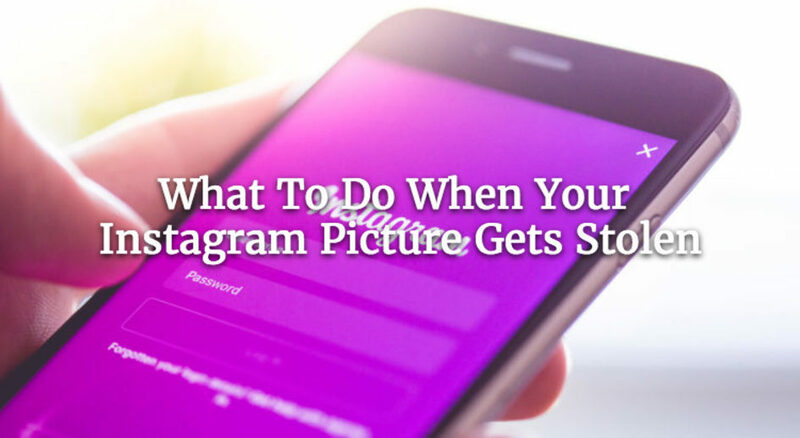 Once you become a victim of Instagram picture theft, don’t panic. There are steps you can take to make sure those picture are deleted. Instagram is still flawed when it comes to copyright issues. However, here’s what you can do to delete your stolen Instagram image. Before you do anything else – take a screenshot. This will be your first stage of proof that another person actually did steal your photos. Due to the quantity of people on Instagram, many still don’t know the copyright rules – the person might’ve taken your picture without actually realizing they’re doing something wrong. Give them a benefit of a doubt, comment under the stolen picture and send them a message, asking for the picture to be credited or removed. Please note that an account with a large following might ignore notifications – find their email address or their Facebook account to connect with them. Is this just a regular Instagram account with an average amount of followers? Or is the person monetizing your own images without letting you know? A number of followers and the importance of the account can help you determine which actions you should take next. Sometimes even celebrities steal pictures on Instagram – scroll down the article to find out more about that. Instagram has its own reporting system and a copyright infringement form you can fill out when someone steals your Instagram pictures. The form takes a while to fill – take your time. Instagram usually removes the picture after 24 hours. However, please note that the person’s account won’t be banned. Make sure you block the user afterwards to avoid any future issues. How important is it to credit the artist? Think of it this way – you spend hours, days or even years perfecting your craft when suddenly, you found that an influencer took your work without mentioning your name. Crediting means new customers. Recognition. Satisfaction of finally getting results after all this hard work. And when it doesn’t happen, it feels extremely personal. How common is Instagram picture theft? Surprisingly, it’s pretty common. Although it’s been known to be used by inexperienced teenagers, you might come across a case where a celebrity has stolen an Instagram image. It happened to Drake, Bow Wow and even Taylor Swift made headlines for not accrediting another artist’s work. It’s a heated topic that often brings bad publicity to celebrities. Knowing how to credit photos is important and beneficial to both parties. Sometimes. This artist’s photos got posted on Drake’s account without accreditation. Although no resolution was made, the photographer acknowledges that the famous singer probably found the photo on another account who failed to give credit to the real artist. Bow Wow also came under the heat and refused to acknowledge he used another person’s image and the artist took it to social media to make him become aware of the issue. It’s an ongoing problem and many people involved in this issue still refuse to acknowledge they did anything wrong. So how do you prevent Instagram image theft? You can track your photos online with PhotoWatch.io. 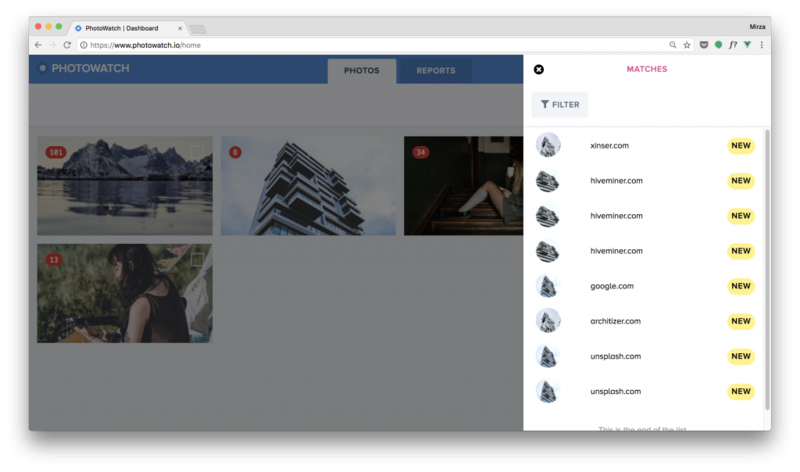 Connect your Instagram account and they’ll continuously monitor your photos and check for them across the web. If a match is found, you’ll get notified and you can then take the appropriate next step. Watermarking is a popular way for people to protect their artwork. 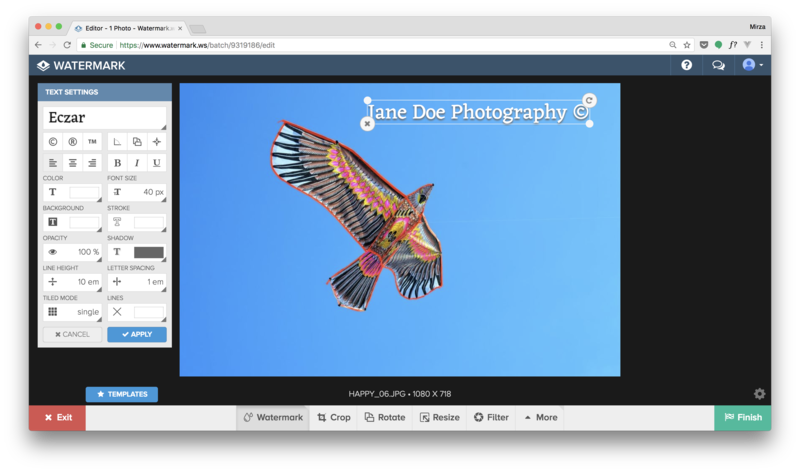 Use Watermark to add any necessary credits to your image – simple and easy. All you need to do is import your image, customize it and export it. You’ll have a selection of copyright symbols, custom fonts, custom text and other tools that will help you protect your art. Lesson learned: If you are planning on using someone else’s photos on the Internet, give them credit. Send them a message asking them what kind of credit they wish to have and let them know you have used their image. It only takes a few more clicks. Mandy is a travel blogger and a photographer, currently living in Madrid.